One of the great joys of smoothie making is experimenting and finding all those great fruit combinations. 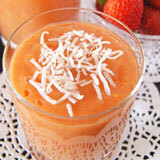 Who knew that strawberries and oranges could produce such a delicious smoothie? What you get when you combine these two is a strawberry orange smoothie that is neither too sweet nor too tart. In fact neither flavour overshadows the other, they just seem to complement each other. Add in other berries, or other fruits such as pineapple and you get some interesting colors that range from pinkish to more peachy. The flavors are never too sweet, even with the extra berries. In fact if you find berry smoothies way too sweet, you may just love these. When I make my orange smoothies I use the whole orange (minus the skin of course). Why waste all that valuable fiber. 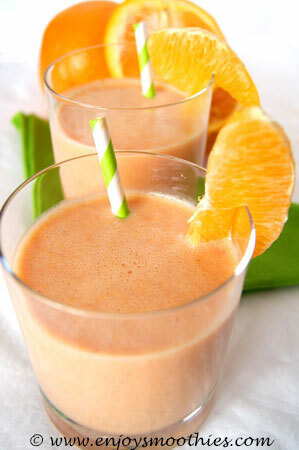 Just peel the orange and add the orange segments to your blender. You will probably find you need less liquid, particularly if your orange is juicy. Start with a quarter of a cup of liquid then add more if needed. 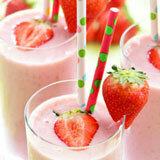 The raspberries give this smoothie more of a pinkish tinge and a little more sweetness. Definitely one of my favorites. Peel orange and divide into segments. 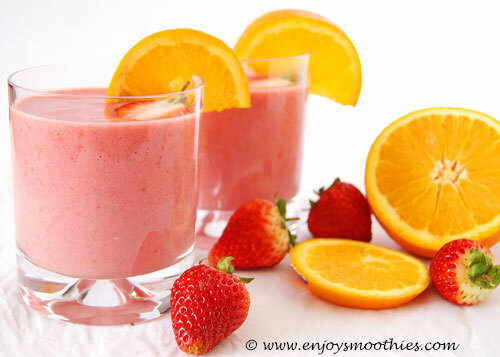 Add orange to blender, along with the strawberries, frozen raspberries, orange juice and yogurt. 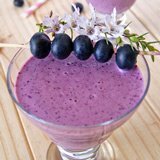 Blend until your smoothie is thick and creamy. Peel orange and add segments to blender jug. Add the hulled and sliced strawberries, orange juice and yogurt. Blend until smooth and creamy. Peel and segment the orange and remove the peel from the kiwi fruit. 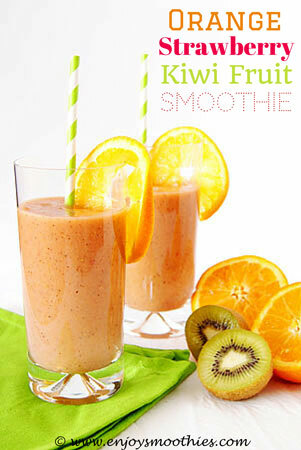 Add the orange segments, chopped kiwi fruit and hulled, chopped strawberries and almond milk to the blender. 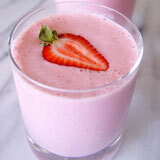 Blend until all the fruit has been chopped and pureed and your smoothie is nice and creamy. 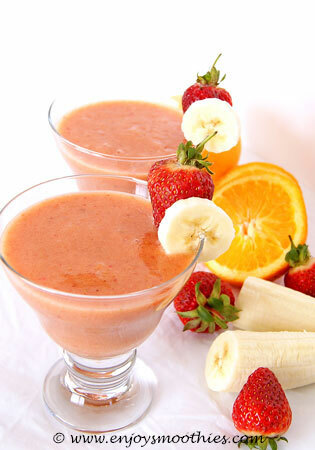 Place frozen banana, segmented orange, sliced strawberries and orange juice into a blender. Then add the ginger and blend until the fruit is pulverised and your smoothie is lovely and creamy.